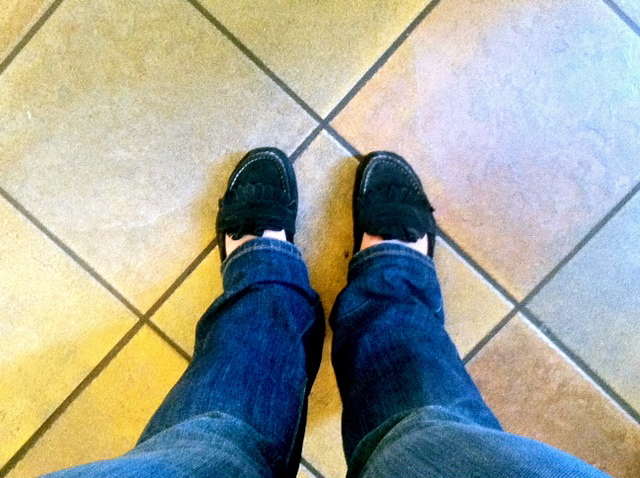 Bar studying has begun, and I've managed to put on jeans all 3 days so far -- 3 cheers for me! Good thing I didn't put away my warmer clothes and shoes yet, because the weather has been all sorts of cray-zee here in chi-city lately. Today, I woke up to a thunderstorm and 50ish degrees, and it is now 69 degrees and sunny. Go figure! 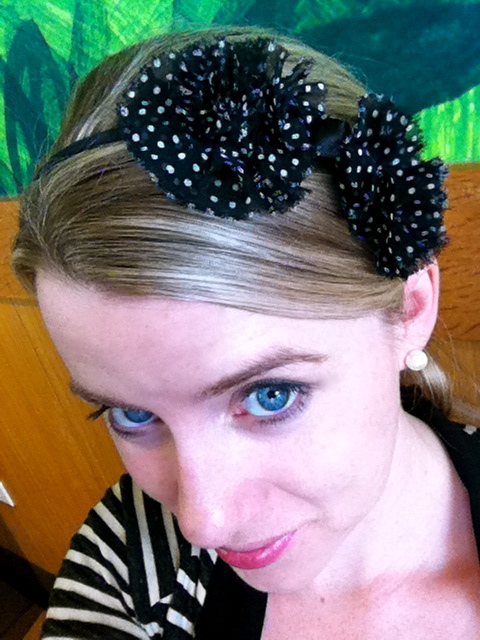 I'm a huge hair-accessory fan -- especially on days where I am throwing my hair up into a ponytail. This look worked out well today with the rain (hair up was a must! 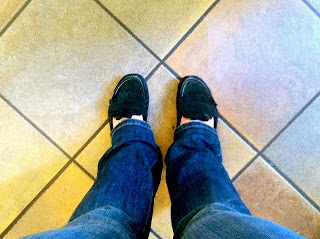 ), except I should have opted for rain boots, because my feet were pretty well soaked all day. No sweat, the sun is shining now, and my tootsies are drying! **Something to talk about: Do you ride the headband train? 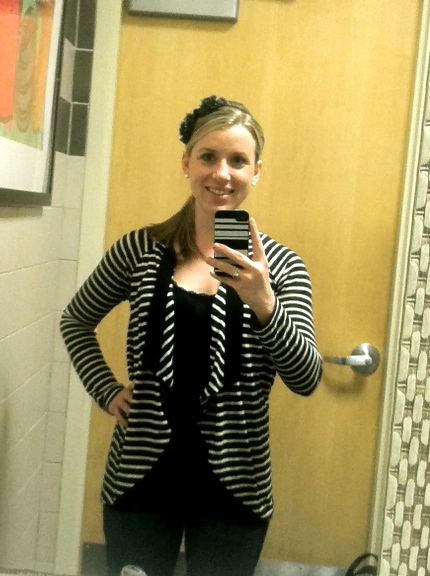 What's your go-to rainy day outfit? See ya'll a little laters!